Barrington School District Board of Education candidates Holly McCauley and Robert J. Klopp today joined candidate Carla Bolling in responding to Barrington Bulletin reader Bruce Byrne’s “Letter to the Editor” asking for some details about the candidates’ background and goals. • I have lived in Barrington for 12 years. My husband has lived in town for 43 years and was educated through the Barrington School District. 2. How many children in your family attend or have attend Barrington schools? • I am proud to say both of our children are doing great in the Barrington School District. Our two children currently attended Avon. • As a parent and non- school board member, I have attended several board meetings over the past three years. • I have over 15 years of supervisory experience in the banking industry. • I have 5 years of supervisory experience working at a law firm doing bankruptcy work for mortgage companies. • I have also taken part in budgeting money for the school with APT (Avon Parents and Teachers). • I am one of twelve active committee members that represent the food allergy research and education (FARE) for both South Jersey and Philadelphia area. I have the knowledge and resources to educate others on food allergies. I’m all about making children safe and feeling safe in school. • I am a member of the Democratic club. • I was a part of Harvest Fest organizing committee this year. 6. What are the two or three greatest challenges facing the Barrington School system, and how should we address them? • With increasing student enrollment in Barrington School District, we need to find alternative options to balance the school budget and enhance our education programs. In the 2013-2014 school year, two additional class rooms were added to compensate for the additional enrollment. If I am elected, I will work hard with the rest of the board members to solve these issues. • I believe we need to continue to utilize the new state guidelines for standardized testing. This means keeping teachers current and informed on standards through professional development. I feel committed to keeping our technology current in order to enhance our child’s learning capabilities. 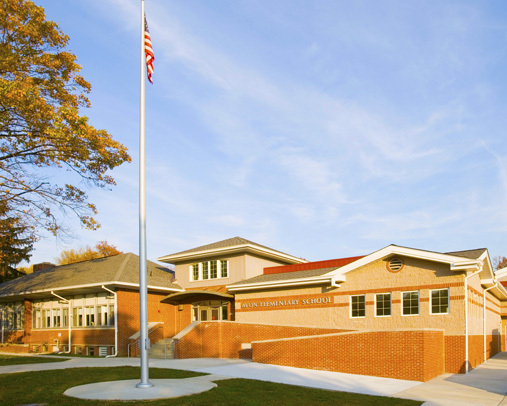 • Barrington School District is doing a great job with security improvements. They have installed cameras and keyless entry systems on doors into building and they continue to implement security lock down drills. With the increased enrollment each year, we need to plan new ideas for security. There is always room for improvement in terms of how we handle security in various situations. We must continue to work with the Barrington Police Department to keep our security measures current and effective. 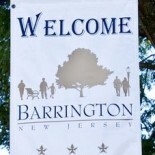 • I am Barrington born and raised. I attended both Avon and Woodland schools and graduated from Haddon Heights High School in 1989. In 1989, I left for college and a career as an officer in the United States Army. I returned to Barrington with my wife in 2002 where we are raising our three children. I guess the simple answer is 30 years. • We currently have two children in the district and will have a third in two years. 3. How many school board meetings have you attended in the last two years. • I have attended all but one school board meeting within the last two years. As a former officer in the United States Army, one of my positions was that of a logistics officer. As the logistics officer, I was charged with developing, implementing and monitoring an annual operations budget of over $18 million. Currently, I am a business owner. As the owner, I continually evaluate all of our budget needs in order to maintain the profitability of the business. While a member on the school board, I have served on the Negotiations Committee for three years and the Finance Committee for one year. 5. What nonbudget interests or skills can you bring to the school board? • I feel one of my greatest assets or skills is the ability to listen to all sides of the story. Everyone in life has different experiences that have formed who they are and what they believe. If we as a school board can draw from the experiences of the community members, teachers, administrators and our children, we are able to make informed decisions that will continue to improve our district. 6. What are two or three of the greatest challenges facing the Barrington School System, and how should we address them? • As a tax payer, I was glad to see caps placed on budgets. As a parent with students in the district, I was concerned that these caps would hinder academic growth. Therefore, I feel the greatest challenge today is the ability to achieve continued academic growth within a constrained budget. I feel that as a district/board we have been effective over the last few years. That challenge lies ahead of us every year. The true heroes in these tough economic times are the teachers and administrators. They continually find cost efficient and creative ways to make learning both fun and effective. • I have lived in Barrington for 13 years. My husband and I purchased our first and only home in Barrington in August of 2000. I was born and raised in nearby Voorhees and educated through the Voorhees Public School District. I graduated from Eastern High School in 1996. • We are proud parents of a daughter who is currently in Woodland school. • In the last two years, I’ve attended one school board meeting. I do consistently read the minutes from the meetings online to stay informed. • As a sole small business owner of a local hair salon, I evaluate budgets on a daily basis. It wouldn’t be a stretch to say I think about my budget in my sleep! It is key for me to stay on top of my business’ income and expenses at all times. On a weekly basis, I analyze my employees’ performance levels, customer satisfaction and customer retention constantly trying to increase profit for the salon. 5. What non- budget interests or skills can you bring to the school board? • Currently I am serving as secretary to the Woodland Parent Teacher Group (WPTG). I was also a member of the Avon Parent Teachers (APT), volunteering last school year as president. During my years at Avon, I chaired several school fundraisers and events. Being a member of both boards have given me the opportunity to meet and be involved with many parents, teachers and students. Prior to starting my business, I also worked in the Avon cafeteria for two years. During those two years, I was able to see and understand the daily challenges of budget cuts as well as see the the staff adapt well to those challenges. Volunteering for the school has meant I’ve had to make many decisions regarding activities to keep or change for the children. I pride myself in being a good listener, being fair and consistently seeking out opinions from parents and teachers involving the various activities. • One of the greatest challenges I feel we face as a school district and nation as a whole is bullying. Cyber bullying has been very prominent across our country, and I feel it’s very important to be pro active. I do feel that both schools have taken a pro active approach with the students in regards to the dangers of the internet and cyber bullying. However, most Barrington parents did not have to worry about cyber bullying when they attended school. I would like to implement more parental workshops to inform parents of the constant changes to social media so we can try to stay one step ahead and remain informed of the many benefits and dangers the internet has to offer. • I also feel that parental involvement is an ongoing issue with the district. Parental involvement seems to peak at Avon and dwindle once the students go to Woodland. I’d like to to see more “behind the scenes” involvement at Woodland. As a parent of a middle school child, I understand the challenges parents face when our children think it’s no longer “cool” for Mom or Dad to show up in class to read or walk them to the bus stop or to school. I feel the middle school years are so vital for our children and that communication between the staff, parents and students is so important. I feel that different ideas and strategies I’ve learned from being a consistent presence at the school can be useful to the school board to bridge a gap between parents, teachers and the board. Thanks to the candidates for sharing your vision with the voters. As a former 22 year member of the Barrington Board of Ed, I am well aware of the time commitment and dedication the position requires. I appreciate your willingness to serve. I am proud of the job the current board members are doing on behalf of our children, and I look forward to meeting any new board members who are elected. Thanks to all of our candidates for standing for election and putting in this effort to answer these questions. My wife, Barbara, and I are going to feel much more confident about voting well today. Thanks also to the Barrington Bulletin and its editor for stepping up to make Barrington an informed community. Please, if you haven’t already, forward this link to your Barrington friends. Oh yeah, and put your computer/tablet/phone down and go out and vote! This entry was posted on November 1, 2013 by Barrington Bulletin in Events, Schools and tagged election, school board, voter guide.